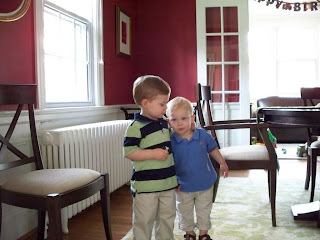 Oh, what handsome little men! Those two are adorable!! Sounds like you have a great summer ahead - enjoy! Oh my they are so cute! You must miss seeing them! AWWW! They are SO cute!!! Oh they are too cute!!!! Aww aren't they adorable! They do grow up so fast. I have been babysitting for the same family since their kids were newborns and everytime I babysit I am shocked at how much they have changed since the last time. So I can imagine how that must feel to be away for months!